Design optimization, verification, and failure diagnosis of analog and mixed-signal (AMS) circuits requires accurate models that can reliably capture complex dependencies of circuit performances on essential circuit and test parameters, such as design parameters, process variations, and test signatures. 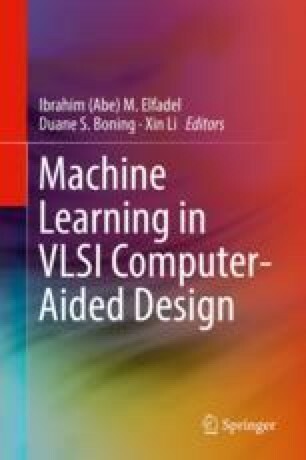 We present a novel Bayesian learning technique, namely sparse relevance kernel machine (SRKM), for characterizing analog circuits with sparse statistical regression models. SRKM produces more reliable classification models learned from simulation data with a limited number of samples but a large number of parameters, and also computes a probabilistically inferred weighting factor quantifying the criticality of each parameter as part of the overall learning framework, hence offering a powerful enabler for variability modeling, failure diagnosis, and test development. Compared to other popular learning-based techniques, the proposed SRKM produces more accurate models, requires less amount of training data, and extracts more reliable parametric ranking. The effectiveness of SRKM is demonstrated in examples including statistical variability modeling of a low-dropout regulator (LDO), built-in self-test (BIST) development of a charge-pump phase-locked loop (PLL), and applications of building statistical variability models for a commercial automotive interface design. This material is based upon work supported by the Semiconductor Research Corporation (SRC) through Texas Analog Center of Excellence at the University of Texas at Dallas (Task ID:2712.004).